The Philadelphia Fillmore has formed a uniquely special bond to the iconic legacy of the original Fillmore Auditorium in San Francisco after discovering an extraordinary link to the past in its own back yard. And the results will be unveiled on opening night as a treasured keepsake for everyone in attendance. To commemorate the sold-out Grand Opening concert Oct. 1 starring Hall & Oates, Live Nation has commissioned 1960s Fillmore poster artist Bonnie MacLean, a Philadelphia native and the one-time wife of legendary concert impresario and Fillmore Auditorium founder Bill Graham, to design a distinctive souvenir poster which will be handed out free to ticket-holders that evening. 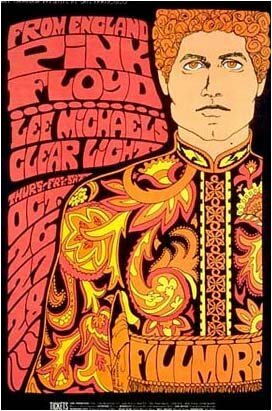 MacLean was among the driving forces behind the rise of the San Francisco rock music scene of the late '60s, with the success of the Fillmore Auditorium due in no small part to her groundbreaking posters promoting the venue's concert attractions. She moved back to the East Coast in 1972 and settled in rural Bucks County, PA, where she has been living ever since, painting nudes, landscapes and still lives in her converted barn studio. 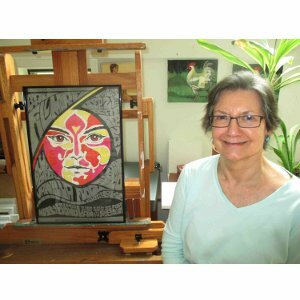 She remains best-known for her series of historical hand-drawn rock posters, among the most sought-after collectible poster art in rock. Some of MacLean’s posters sell today for as much as $10,000. The Fillmore Auditorium, which first opened in San Francisco in 1965, is one of this country’s landmark performing stages. That Fillmore was the focal point of the psychedelic music scene during the 1960s and ‘70s, helping to launch the careers of iconic rock acts such as the Grateful Dead, Jimi Hendrix, Led Zeppelin, Santana, The Doors, The Allman Brothers Band, and many, many others which helped it grow into the legend it is today. The opening of The Philly Fillmore marks the seventh Fillmore now open in the U.S., and the latest addition to a legendary group of music venues that traces its lineage to rock history’s golden era. The newest Fillmore is a major component in the continued revitalization of iconic Fishtown and is rising at one of the city’s historic addresses, the legendary Ajax Metal Factory. The building, at the intersection of Frankford Avenue and Richmond Street, is being transformed from a pounding WWI munitions machine constructed over 100 years ago into a beautiful, pounding music machine of a different sort, 2015 style, with a distinct Philly flair.